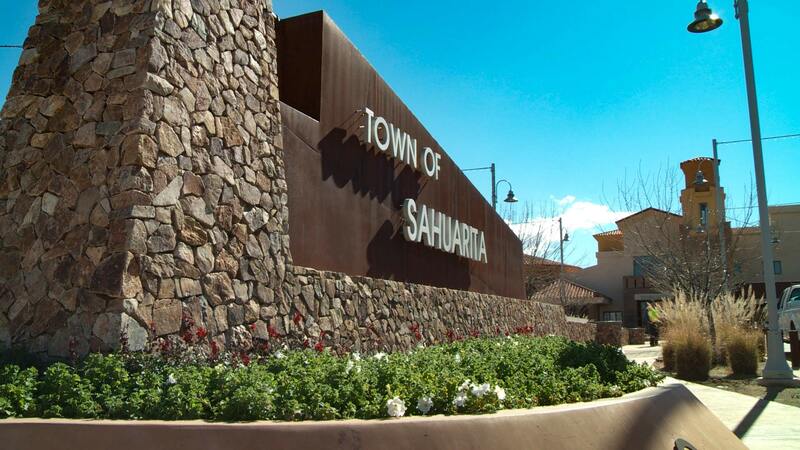 Sign of the town of Sahuarita. A survey conducted by the town of Sahuarita last year showed that when it comes to recreational amenities throughout the community, leisure-based activities rank the highest. According to mayor Tom Murphy, the town has been making various efforts to meet those demands over the years. The 900 residents that participated in the survey said shaded picnic tables, walking trails and paths, community sponsored events, and sports fields were the top four things residents wanted to see throughout the community. Previous surveys have shown similar results in terms of what residents want, according to town manager Kelly Udall. In 2015, the town invested $1.7 million in soccer fields and lighting at the Quail Creek-Veterans Municipal Park as a response to previous demands. The town has put forth a five-year operating budget for several capital improvements. It includes adding a splash pad, community bicycle pump track, pickle ball courts and a playground, according to recreational director Nanette Smejkal.